If you're looking for the best Maui Vacation Rentals, you've come to the right place. Whether it's a luxury Maui villa for two or a beautiful beachfront condo for you and your guests, The Valley Isle has just what you need. A Maui Vacation Rental is the perfect way to enjoy all the amenities of a hotel, while still enjoying all the creature comforts of home- and then some. (Indoor waterfall, anyone?) 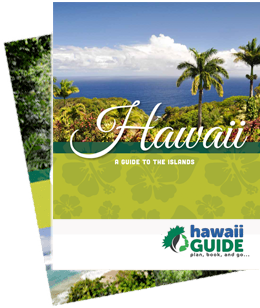 Check out Hawaii Guide's handpicked selection of Maui Accommodations and book your dream vacation today. Mahalo! Our featured Maui vacation rentals are those which we feel stand out in some way. For example, they may provide a gorgeous location, superior amenities and luxury, exceptional value, or a unique experience. See what has earned these properties a place in the spotlight. Looking for more information on the fascinating slice of paradise that is Maui? Wondering which part of the island is perfect for you? Need some insider travel tips? Or maybe you'd rather just book your Maui dream adventures- whether by land, by sea, or by air- and prepare for the vacation of a lifetime.